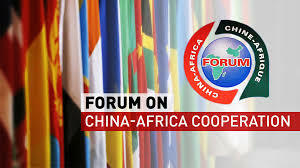 Chinese President Xi Jinping met with African leaders in Beijing last week and pledged $60 billion in funding to the continent over the next three years. The focus of the spending would be on developing infrastructure, expanding trade, cultural cooperation as well as peace and security, President Xi told leaders from 53 African countries. China said its engagement with African countries is underscored by equality, non-imposition on recipient countries and non-interference in their internal affairs, a stance Western critics say has enabled China to work with dictatorial regimes. South Africa recorded a negative gross domestic product growth in the second quarter, a second consecutive decline that triggered the first recession in about a decade in Africa’s most industrialized country. Economic productivity shrank 0.7 percent amid declines in trade, agriculture and manufacturing, according to South Africa’s statistics agency. The country’s last recession was in 2008-2009. It signaled the end of the euphoria (Ramaphoria) that followed the ascension to office of President Cyril Ramaphosa and the difficult challenge ahead of the ruling African National Congress as it moves to grapple with long-delayed land reform. In Nigeria, the authorities extended the word visited in Africa’s mobile phone giant MTN with a $2 billion bill for back taxes, a week after the South African company was asked to return $8.1 billion alleged to have been illegally taken out of the West African country. MTN has denied both allegations, and on Friday the company filed a suit at a Nigerian federal high court asking for a ruling to restrain the authorities from interfering with any of its assets. The Democratic Republic of Congo’s veteran opposition leader Jean-Pierre Bemba won’t be running in the country’s coming elections after the Constitutional Court confirmed the electoral commission’s decision to bar him from the vote. The decision is premised on former Vice President Bemba’s trial before the International Criminal Court for alleged war crimes. While Bemba, who spent more than 9 years in the custody of the court, was eventually acquitted of war crimes, he was convicted of a lesser case of witness interference, the basis for his disqualification. Minerals-rich DR Congo will vote on Dec. 23 to elect a successor to Joseph Kabila, who’s been in power for 20 years after succeeding his father. Frontrunners include Emmanuel Shadary, a former interior minister backed by Kabila, and Felix Tshisekedi, the main opposition candidate.